I read an interesting article recently in new scientist saying that astrocytes are responsible for sleep. Astrocytes are one of the neuroglial cells of the central nervous system. 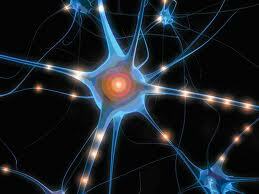 Neuroglial cells area like a connective tissue cellular network and support structure for the brain. They make up half the number of cells in the brain. The two most numerous are oligodendrocytes which myelinate axons, and astrocytes. Astrocytes play a key role by providing neurons with nutrients and aiding cell repair. Researchers in Italy have discovered astrocytes produce adenosine which switch neurons off creating sleep. One of the researchers said that astrocytes communicate slowly and on larger spatial scales than neurons, having a more global influence on the brain. So basically astrocytes look after neurons: feeding them, repairing them and putting them to sleep. Plus they look really amazing, literally like stars. hi katherine, that was a good article from Nature. i really like the way they wonder if astrocytes are doing something quite different from neurons. liked the way they respond to only subtle stimuli plus move at such a different timescale. Makes you feel like they are part of our mind, and its not just all about neurons which is quite a relief really. Thankyou Ged for putting the research into nice easy language. Astrocytes definitely look like stars. What is your reference for the research?